Just collect more than you outlay. Of course, how you do that is the hard part. Even so, it’s remarkable how many punters don’t actively take into account that iron-clad laws of mathematics. Picking winners is important, but plenty of people do that and don’t make money. If you do want to make money, you have to bet to value. It’s the only way. You bet to value when the price you get on your bet is better than the price you’ve rated it at. This is called an overlay, or “overs”. The opposite – when your rated price is higher than the market – is “unders”, and what you need to avoid. The easiest way to demonstrate it all is with the old example of the coin toss. With a coin toss, the odds are 50:50. That doesn’t mean that every set of two coin tosses will return one head and one tail. That’s variance. But over time, it’ll balance out to 50% each. You can convert any probability into a decimal price by dividing it into 1. So in a true 50-50 market, your rated price for both outcomes is $2 – even money. Over 100 bets of $10 each on the same outcome, you’d outlay $1,000 and expect to get back $1,000 (50 x $20 collects). If somebody offers you $2.10 about either side, take it and run. That’s overs. Over those 100 bets, you’d still outlay $1,000 but get back $1,050 (50 x $21 collects). Bookies don’t offer that, of course. In true 50:50 markets, such as a line bet on a footy match, you’ll get an underlay – usually something like $1.90. You’d outlay your $1,000 but only get back $950. The bookie has made his profit of $50. Now instead of heads or tails, just apply the same principles to both horses in a two-horse race. If you figure both are a precisely equal chance – like the outcomes in a coin toss – then your rated price for both is $2. Run the race 100 times and you’d expect them to win 50 each. As you well know, this generally doesn’t happen with horses. One will be favoured above the other based on form, talent, distance and endless other form factors. So let’s say you rate one a 30% chance of winning, and the other 70%? If you can get over that price on either runner, then you should be backing it. Do the same sums that we did with the coin toss – over time, you’ll see what your profit is. This is where many losing punters go wrong. It’s no point backing your $1.43 shot if you can only get a price of $1.20. It might win – you’ve picked a winner, great – but over time you’ll just lose money. In a nutshell, that’s how profitable punters do it – come up with their rated prices and then only bet when they get value. If their ratings are accurate, that ensures they’re always on the right side of the profit or loss equation. It’s something that needs to be measured over a reasonable amount of time. At Champion Bets, we offer a range of memberships that incorporate Ratings to give our punters an extra edge. 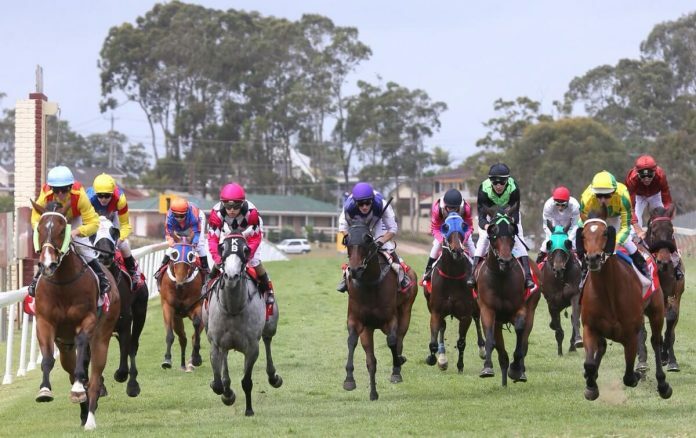 Melbourne Ratings provides members with a full set of rated prices each race meeting, on top of speed maps, suggested bets and a live page to interact with analyst Trevor Lawson. Barby’s Bets and WA Winners also provide ratings for members on Saturdays, providing members with the added edge on big race days.